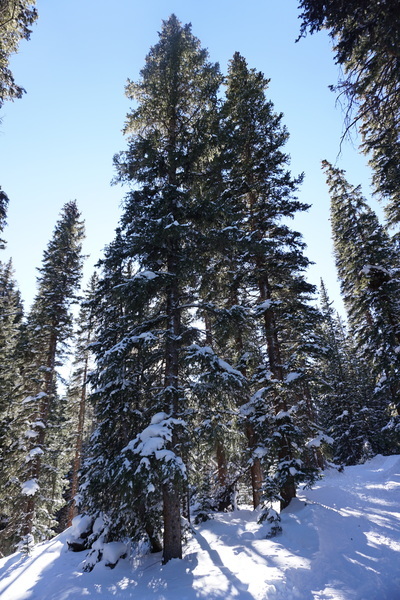 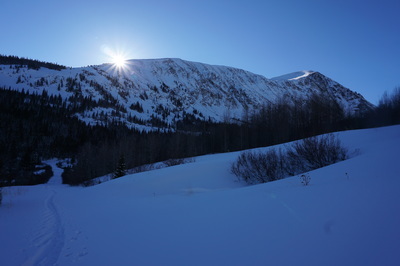 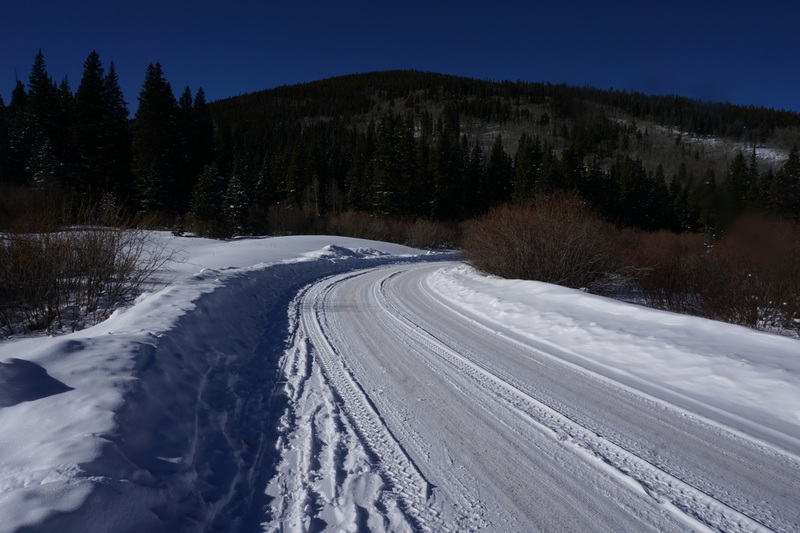 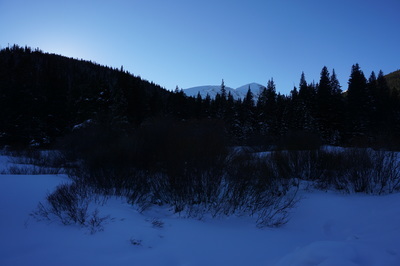 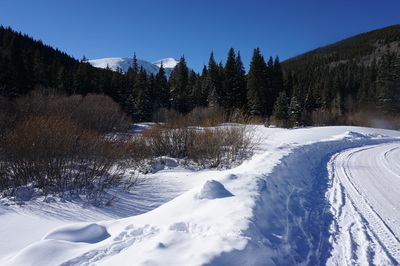 Directions: The trailhead is located off of Hwy 9, north of the Breckenridge Ski Area. About 1 mile south of the turn off for Road 850 (McCullough Gulch Road) on the west side of Hwy 9, is a parking area for Summit County's McCullough Gulch Open Space. 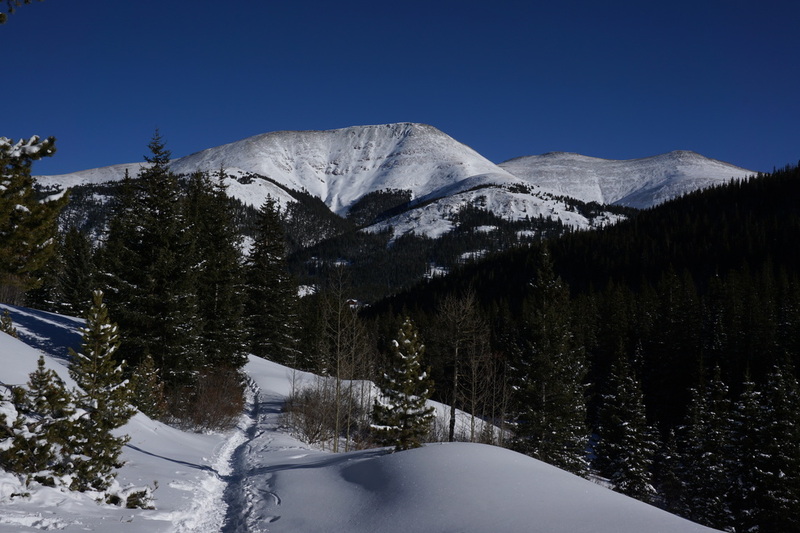 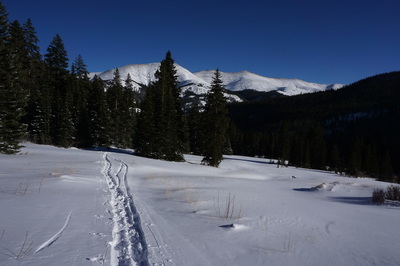 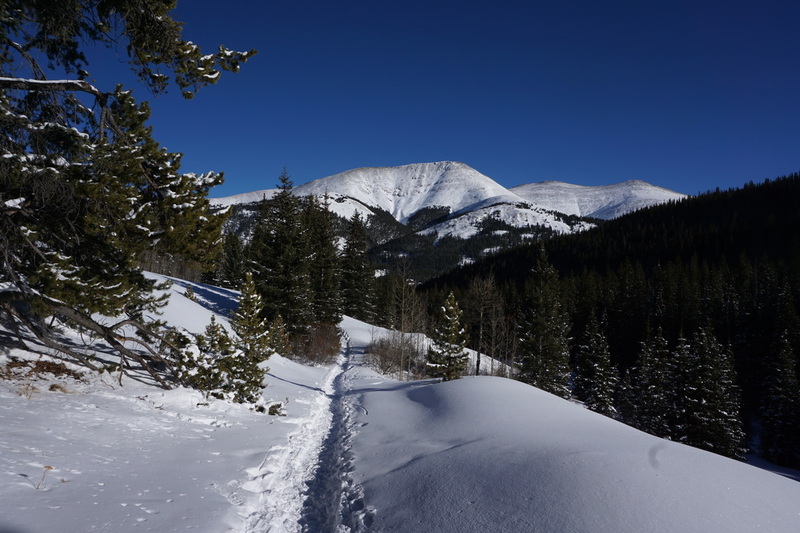 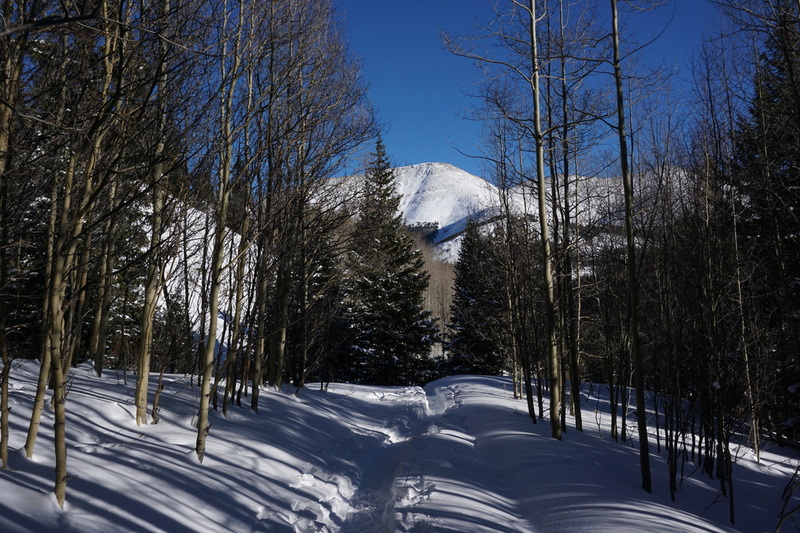 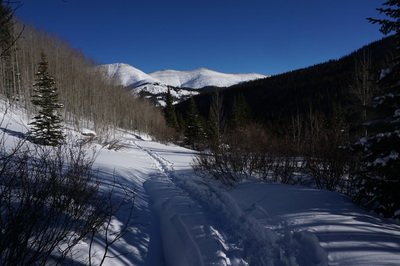 The trail up the lower portion of McCullough Gulch makes for a relatively easy snowshoe/winter hike. In the summer and fall you can drive up the nearby McCullough Gulch Road to the summer trailhead which leads you up to a series of alpine lakes. 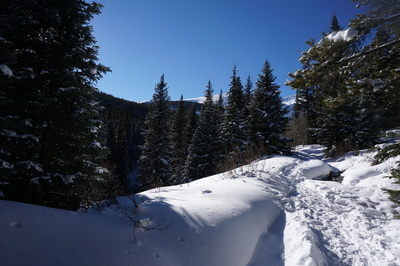 This hike takes you up from Hwy 9 to the road and the summer trailhead beyond. 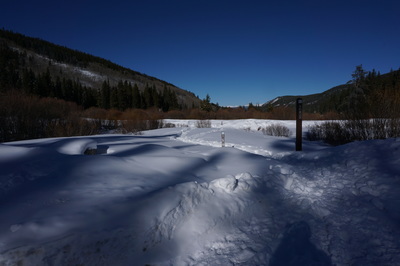 From the open Space parking area, take the trail leading off to the right towards the Ranch Preserve road. 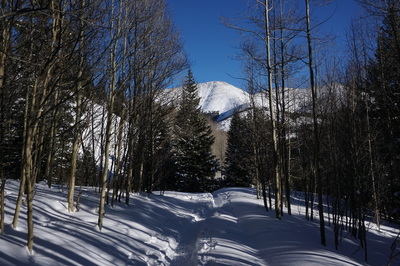 Turn left on the road and follow it for just a few minutes to the trail on the left. 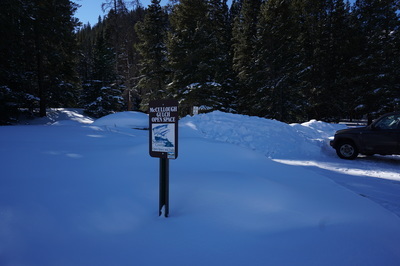 There is a small trail marker here pointing the way. 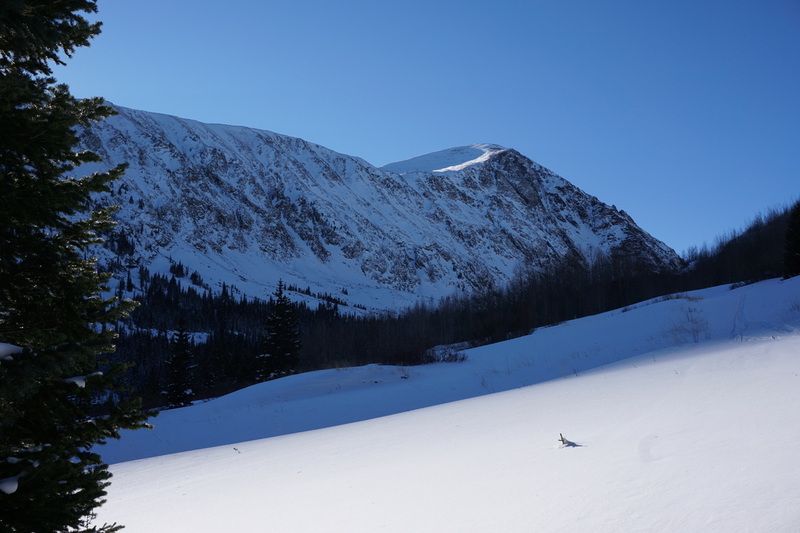 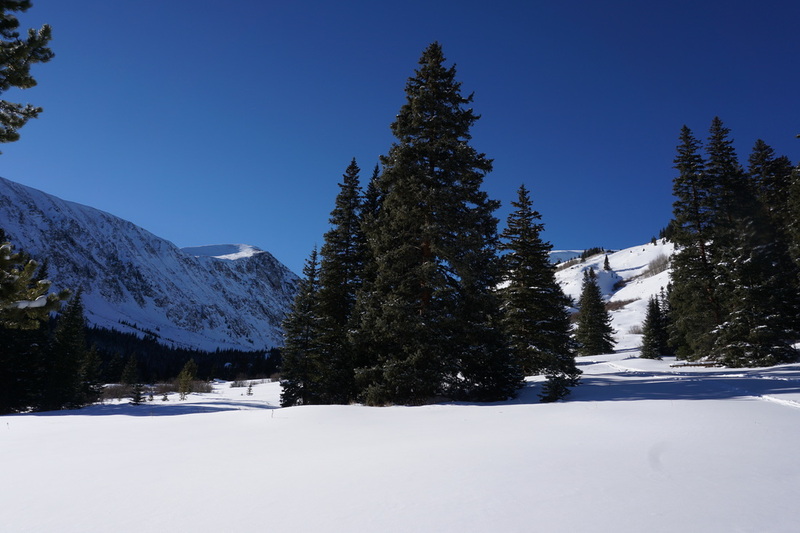 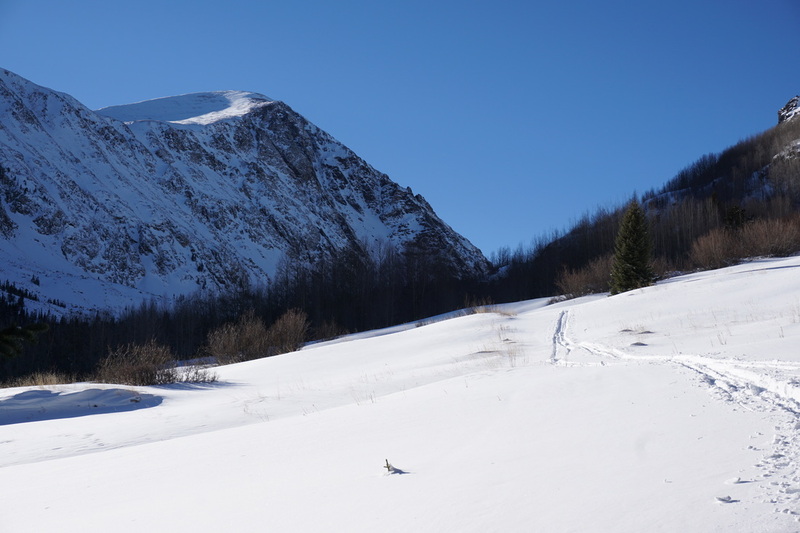 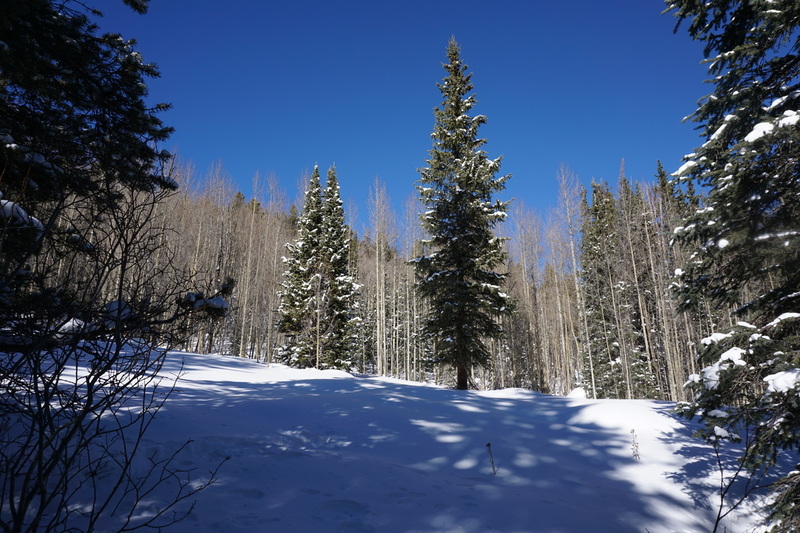 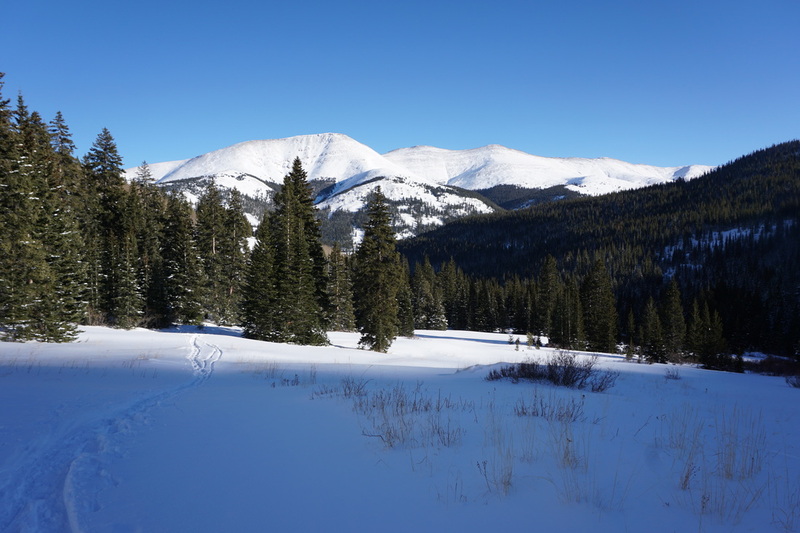 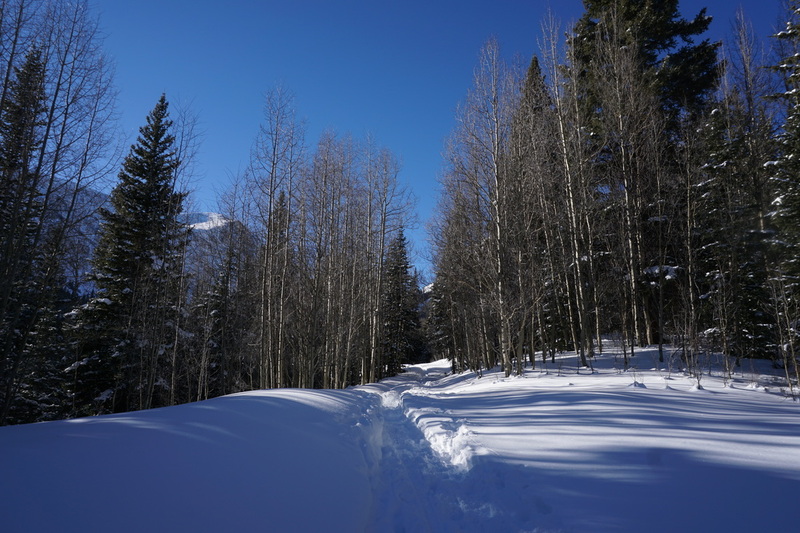 You can expect the first mile or so to be packed snow since the trail sees a good amount of visitation, after that when you enter the open meadows, the snow becomes more abundant and snowshoes are helpful if not necessary. 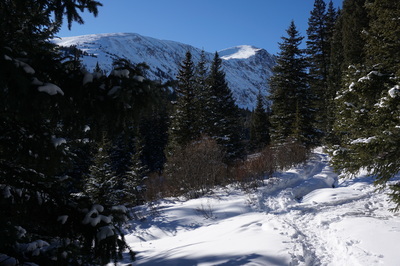 The first 1/2 mile of the hike climbs through pine forest but once you break out of the forest the views of Quandary Peak begin and they do not stop. 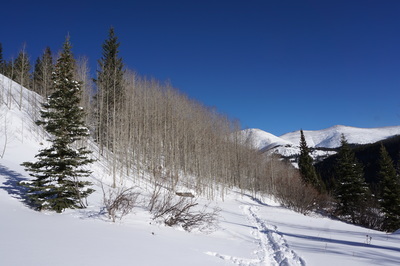 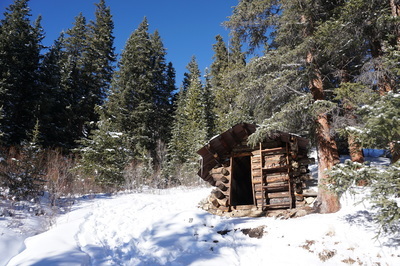 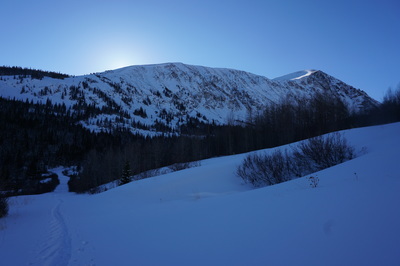 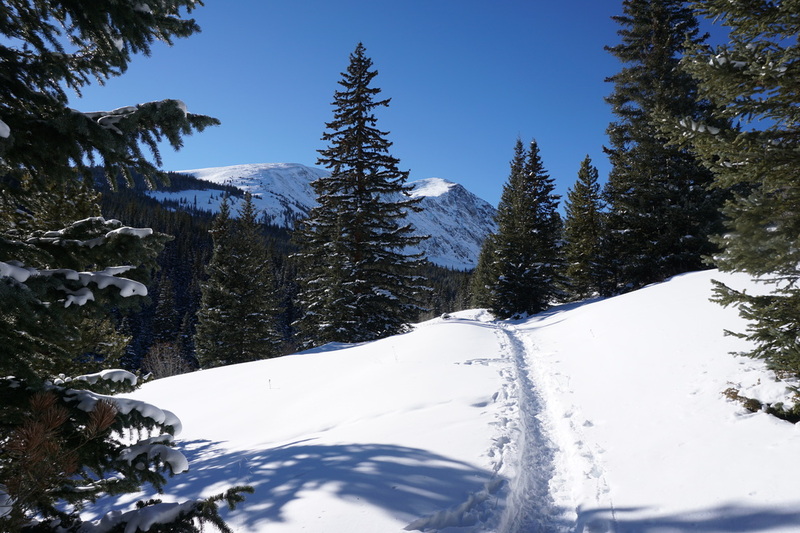 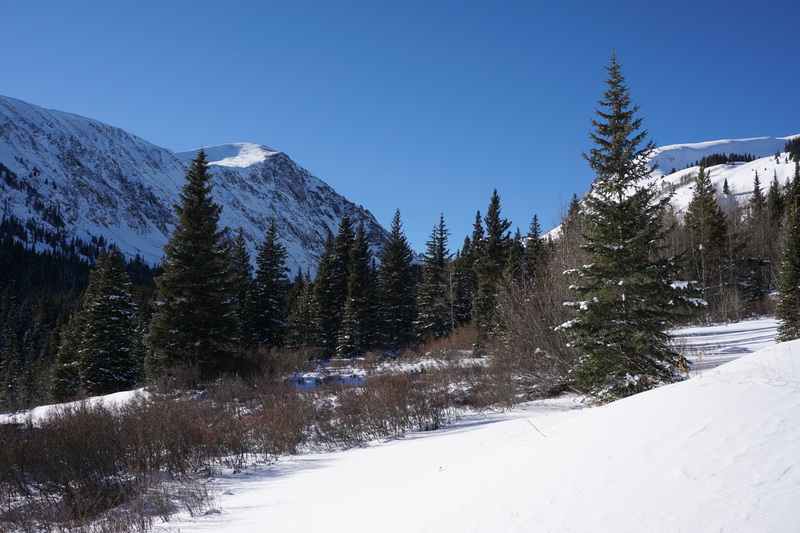 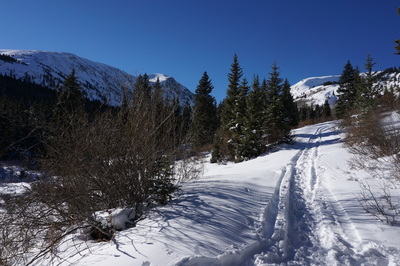 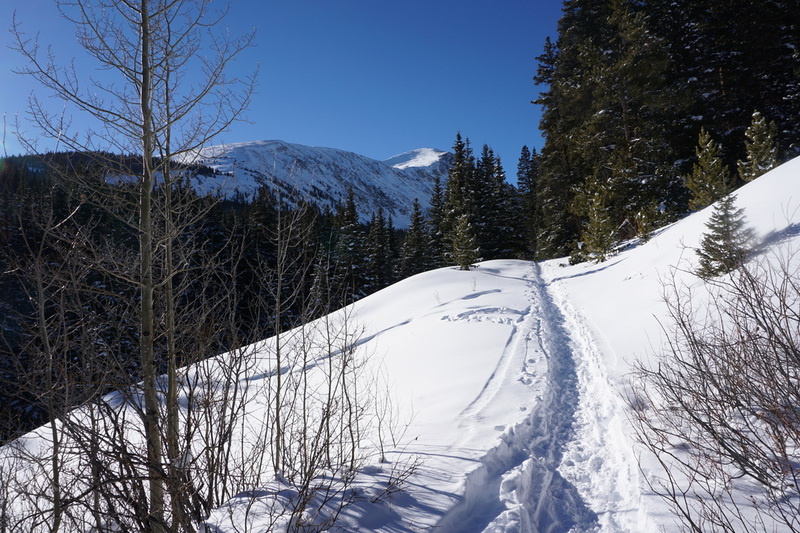 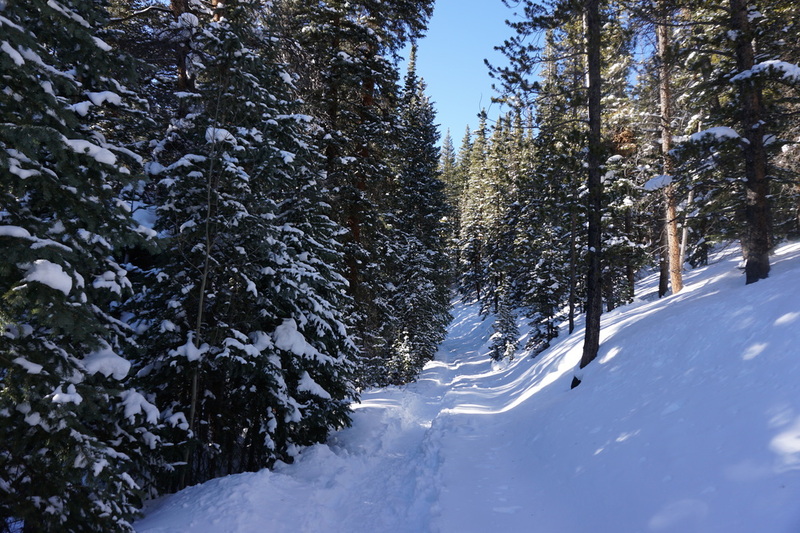 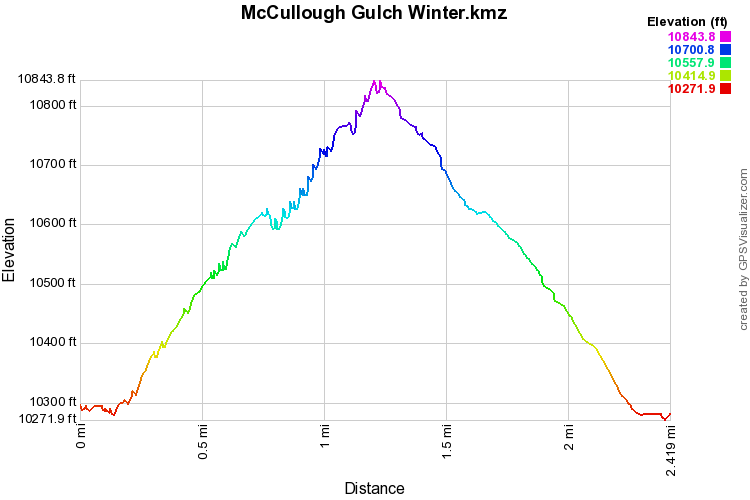 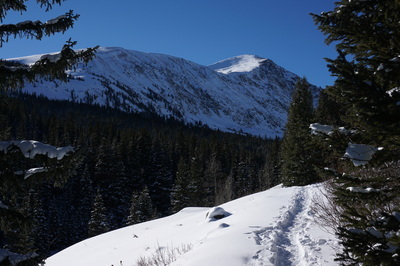 The trail follows the slope on the north side of McCullough Gulch across from Quandary and rises gently, passing an old cabin at the .8 mile mark, to the intersection with the Wheeler Trail and McCullough Gulch Road. 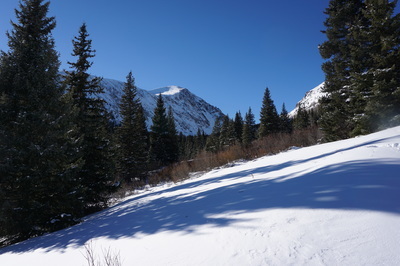 This intersection is just beyond a large open meadow with wonderful views of both Quandary and Red Mountain back to the East. 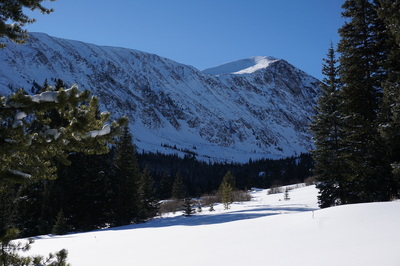 This meadow is a good destination but you can continue further either on the road and summer trail or making you own way up the Gulch.